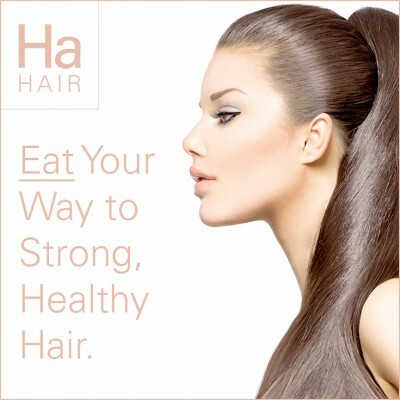 Eat Your Way To Strong, Healthy Hair. Every woman on this planet has had a bad hair day – or dare I say, a bad hair week! But bad hair days don’t just happen by themselves. How your hair looks is all down to what you put in your body and is a really good indicator of inside health – CLICK TO TWEET! Here are a few tips on feeding your follicles to make your hair look shinier and more luscious than ever. Protein is crucial. Hair is made up from the protein keratin, so make sure you keep your diet protein rich and eat lots of fresh oily fish, chicken, turkey, dark leafy vegetables, pulses and good quality cold pressed oils. This will prevent your hair from becoming dry, brittle and prone to snapping. Go nuts. Nuts are the ultimate food when it comes to hair health and oily nuts are the best. Add brazil nuts, cashews, almonds and walnuts to your diet. Brazil nuts are an excellent source of selenium, which is a vital mineral for a healthy scalp. Walnuts are packed full of alpha-linolenic acid, omega 3’s, and contains biotin (vitamin B7) that helps strengthen hair, reduces hair fall and improves hair growth. Almonds and cashews are full of zinc, which prevents hair from shedding. Step away from the dairy products. With the exception of natural live yogurt, cow’s dairy should be avoided. Products made from cow’s milk have been linked to causing dandruff and other scalp problems. The last thing you need when you’re looking to achieve a gorgeous head of hair is an itchy scalp. Water. Water. Water. You’ve heard this a gazillion times, I know – but did you know you should be drinking half your weight in ounces of water every single day? This will help flush toxins so you have beautiful skin and give life to your locks. What do carrots, pumpkins and sweet potatoes have in common? They are all packed full of Vitamin A which is needed by the body to make sebum, an oily substance that is created by the sebaceous gland and acts as a natural conditioner. Without the right level of sebum you’ll have a dry, itchy scalp. Biotin. This water-soluble B-vitamin is also known as vitamin H or coenzyme R. You’ll find it in foods such as whole grains, eggs, soy flour, yeast and liver. If your diet is low on biotin, you may experience hair loss. Iron. Lentils, spinach and other leafy green vegetables such as broccoli, kale and salad greens will make sure that your iron levels stay topped up. Iron is super important for good blood health and because the follicle and the root are fed from your blood supply, you need to make sure it’s nutrient rich. The secret to healthier hair is in your very own kitchen!